A pair of 18kt yellow gold and rhodium plated sterling silver earrings. 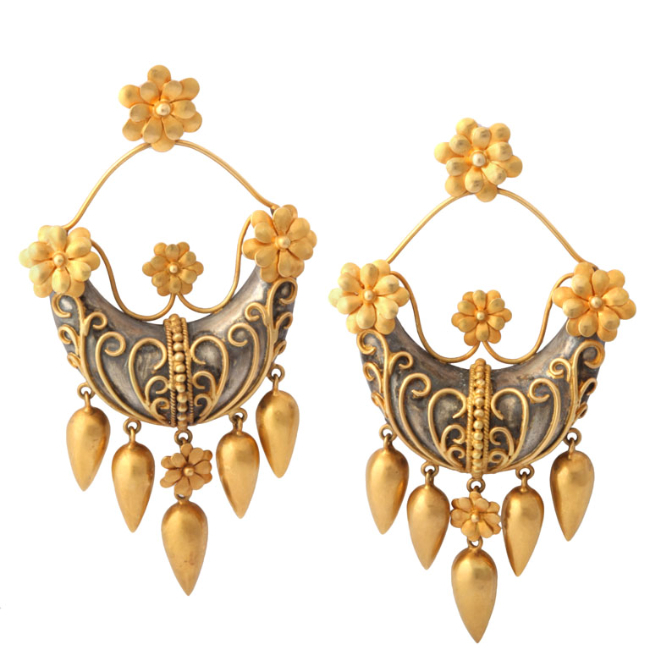 The earrings are composed of sterling silver boats that have been decorated with 18kt yellow gold beading, flowers and decorative piping. The boats are further embellished with 18kt yellow gold drops. The boats are suspended from an 18kt yellow gold flower stud.